statement lighting – Design Your Lifestyle. Check Out Design New Jersey’s New Peter Salerno Inc. Article! 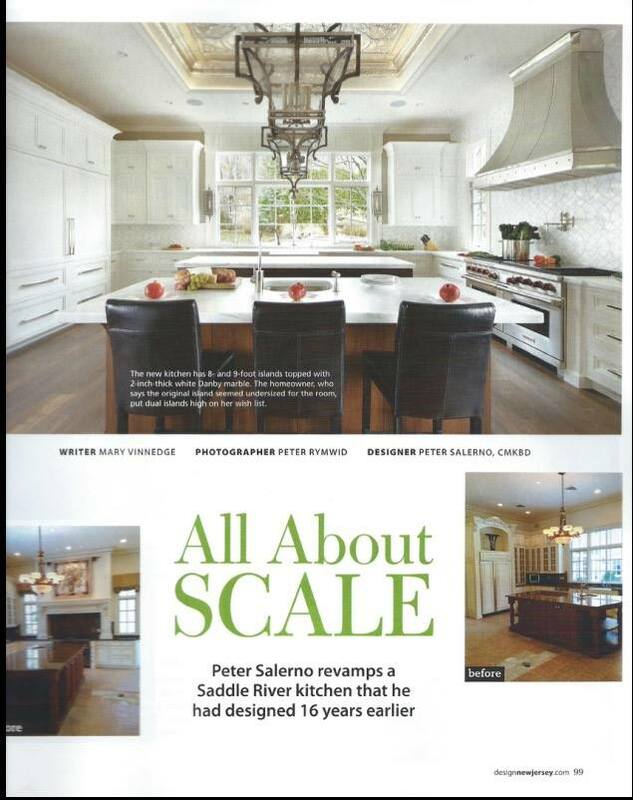 A new article in the latest issue of Design New Jersey Magazine features a gorgeous re-design of a Peter Salerno Inc. custom kitchen design in Saddle River, New Jersey. The article, titled “All About Scale”, chronicles Peter Salerno’s assignment to re-design a New Jersey kitchen he had installed 16 years ago. The task was an interesting challenge, as Peter had the opportunity to update one of his own custom kitchen designs from earlier in his career. One of the challenges presented in the re-design was a request for more usable space. 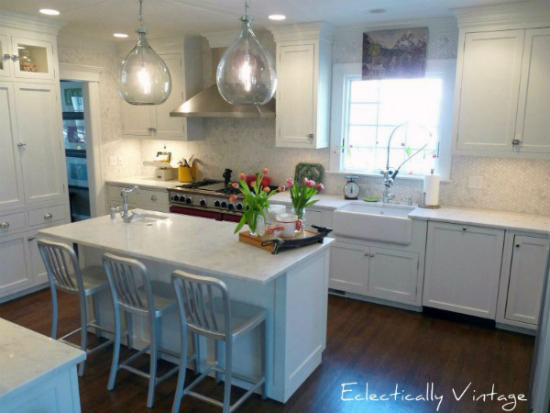 As the piece notes, “The new kitchen has 8- and 9-foot islands topped with 2-inch thick white Danby marble.” The homeowner, who valued more island space for the kitchen in the new design, was highly pleased with the design update offered by Peter and his team. A highlight of the new kitchen design is the stunning statement lighting above the dual islands, which captures the eye immediately upon entry. 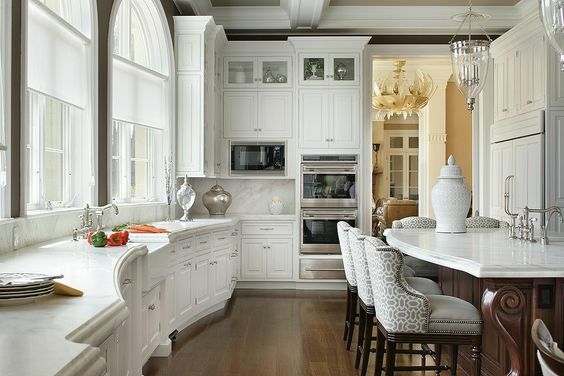 The fixture is accented further by the gorgeous unadorned white which covers much of the kitchen design, as well as the coffered ceiling above it. 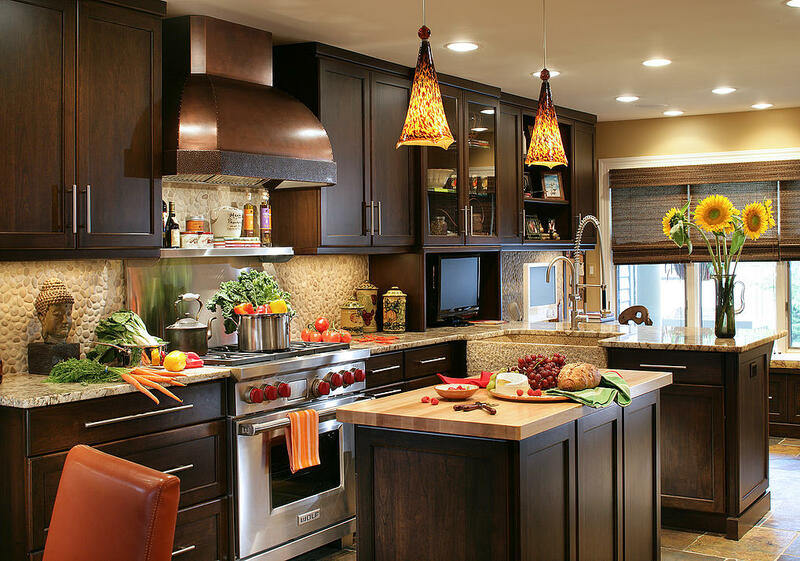 A gorgeous twin stove and range are topped by an appealing, massive range hood. Ample cabinet space is found everywhere one looks in the re-designed kitchen. The finishing touch of this open plan, fresh kitchen design is the large outside window, which casts copious amounts of light throughout the room, giving it a peaceful glow and a scenic view from over the counter and sink. The article (written by Mary Vinnedge with photos by Peter Rymwid) appears in the latest issue of Design New Jersey magazine, the pre-eminent interior design magazine for homeowners and designers in and around the New Jersey area. The issue is available for purchase now.